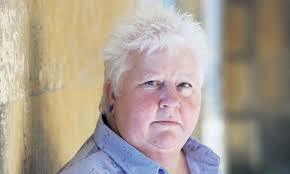 Val McDermid was born today, June 4, in 1955. She is a Scottish crime writer, best known for a series of suspense novels featuring Dr. Tony Hill. McDermid comes from a working-class family in Fife. She studied English at St Hilda's College, Oxford, where she was the first student to be admitted from a Scottish state school. After graduation she became a journalist and worked briefly as a dramatist. Her first success as a novelist, Report for Murder: The First Lindsay Gordon Mystery occurred in 1987. McDermid was awarded an honorary doctorate from the University of Sunderland in 2011. 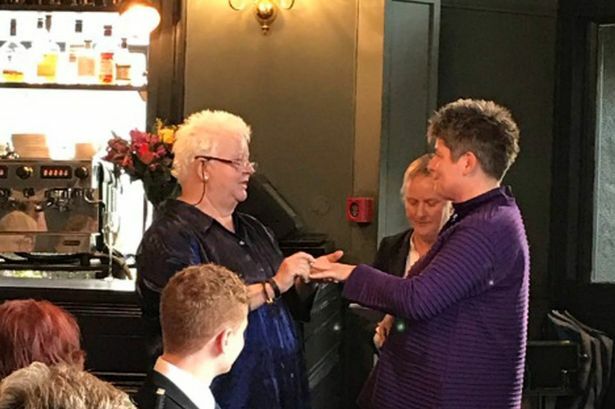 She is co-founder of the Harrogate Crime Writing Festival and the Theakston's Old Peculier Crime Novel of the Year Award, part of the Harrogate International Festivals. In 2016 she captained a team of St Hilda's alumnæ to win the Christmas University Challenge. In 2017, McDermid was elected a Fellow of the Royal Society of Edinburgh, as well as a Fellow of the Royal Society of Literature. McDermid's works fall into four series: Lindsay Gordon (a journalist), Kate Brannigan (a private investigator), Tony Hill (a clinical psychologist) and Carol Jordan, and DCI Karen Pirie working out of Fife, Scotland. The Mermaids Singing, the first book in the Hill/Jordan series, won the Crime Writers' Association Gold Dagger for Best Crime Novel of the Year. The Hill/Jordan series has been adapted for television under the name Wire in the Blood, starring Robson Green. 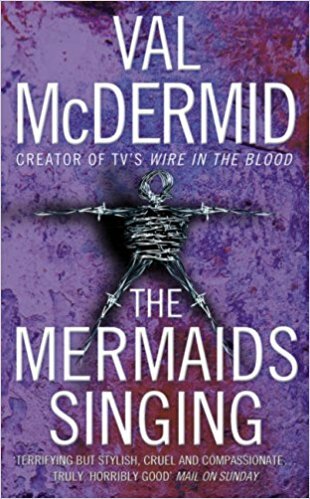 McDermid considers her work to be part of the "Tartan Noir" Scottish crime fiction genre. In addition to writing novels, McDermid contributes to several British newspapers and often broadcasts on BBC Radio 4 and BBC Radio Scotland. Her novels, in particular the Tony Hill series, are known for their graphic depictions of violence and torture. McDermid formerly lived in both Stockport and Northumberland with three cats and a border terrier dog. Since early 2014 she has lived in Stockport and Edinburgh. On October 23, 2016, McDermid, who is gay, married Jo Sharp (with McDermid at right at their wedding), a professor of geography at the University of Glasgow and McDermid's partner of two years. She is a radical feminist and socialist. McDermid has incorporated feminism into some of her novels.